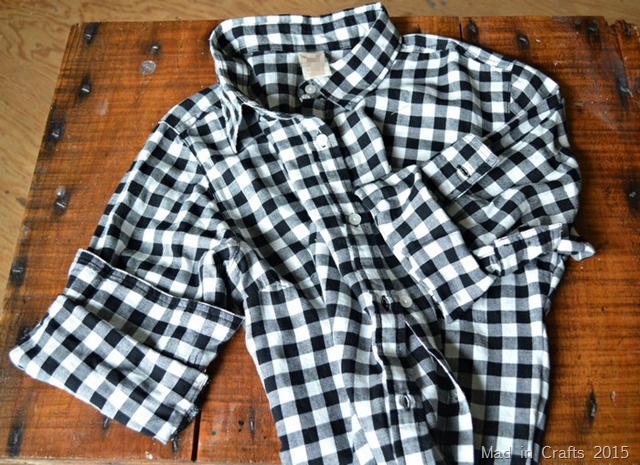 I graduated high school at the end of the 90s, so I will always have a special place in my heart for flannel shirts. I owned so many flannels and thermals you would think I felled trees for a living. Even though it makes me feel old, I am super geeked that some 90s fashion trends are starting to come back — they are so comfortable! At my age, I can’t really pull off big old flannel shirts like I used to. 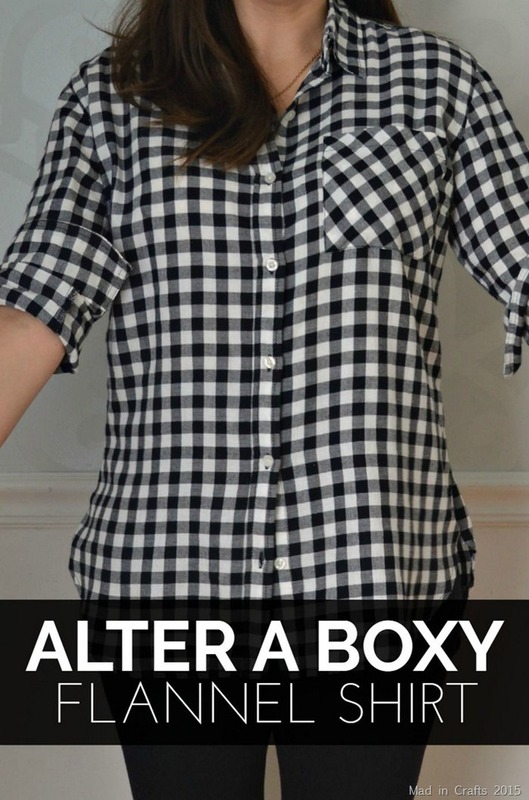 If you are very thin or very young you can wear shapeless button downs, but my body needs more structure for a shirt to be flattering. 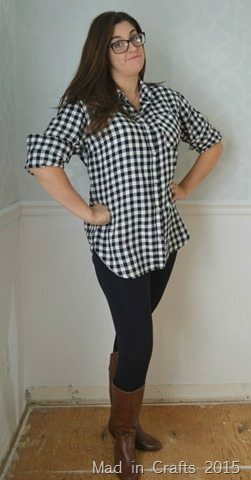 I bought a tunic-length buffalo check flannel cheaply at Walmart, but it needed some work before it was presentable. 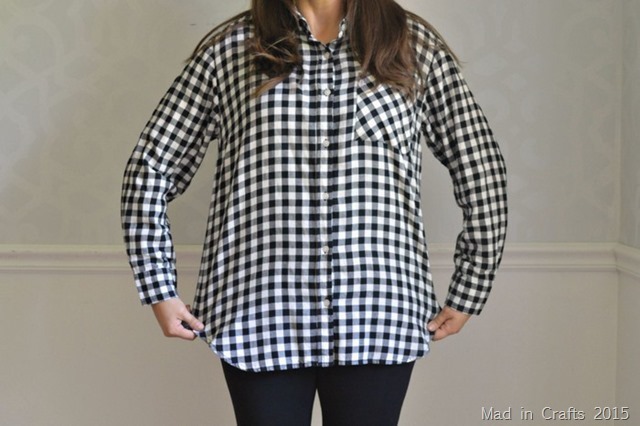 Even with my very limited sewing skills, I was able to alter a boxy flannel shirt to suit my body shape. The shirt fits reasonably well, but since it was a cheap shirt it had a very boxy shape. It was too muumuu-like to be flattering to my curvy figure. I had never altered any of my clothing before, but I figured that even if I really messed it up, I would be out less than $15. And if things went well, I would have a good go-to shirt for the fall. I started by turning the shirt inside out (but kept it buttoned) and putting it back on. I stood in front of a mirror and pinned a curve in the shirt that followed my body’s curve on each side of the shirt. I ran the shirt through my sewing machine a half inch outside of those pins to make sure it wasn’t too tight. I righted the shirt and tried it on to make sure that it fit like I wanted it too. When I was satisfied, I cut off the excess fabric from the side seams and removed all the pins. 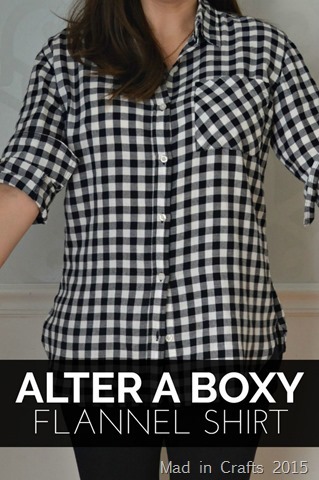 It’s a subtle difference but it takes the shirt from being slightly sloppy to looking polished (in a lumberjack kind of way). 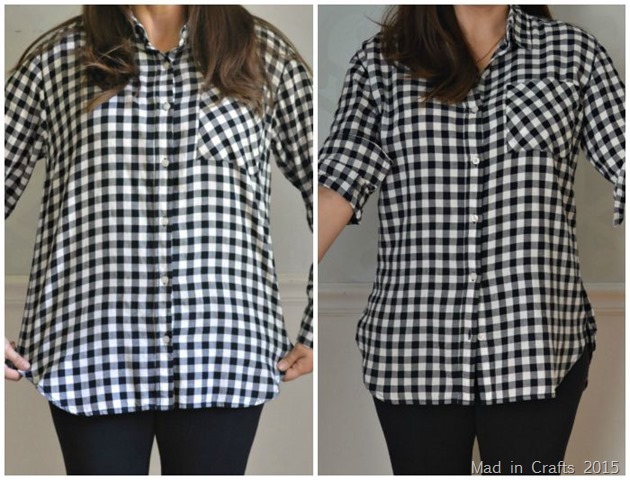 Another trick I used to make the shirt look less sloppy is to cuff the sleeves just above my elbows. I unbuttoned the cuffs and folded the sleeves up to my biceps. Then I rolled the bottom of the sleeve up to the bottom of the cuff. I tacked the new cuff in place with a few stitches, but you could also use a safety pin to keep it in place. 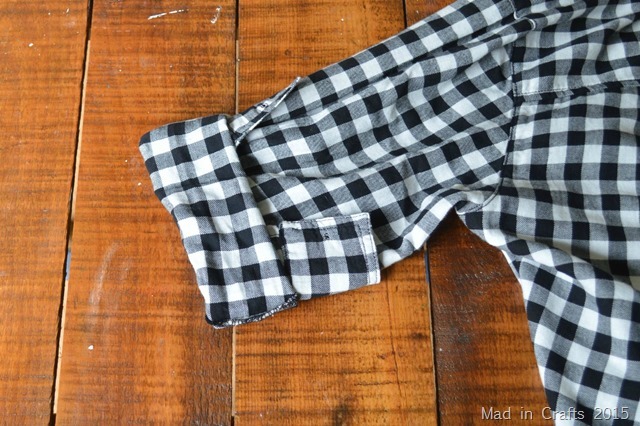 Since you can still see the original cuff of the shirt, this rolling method has more style and interest than a traditional roll. There it is. 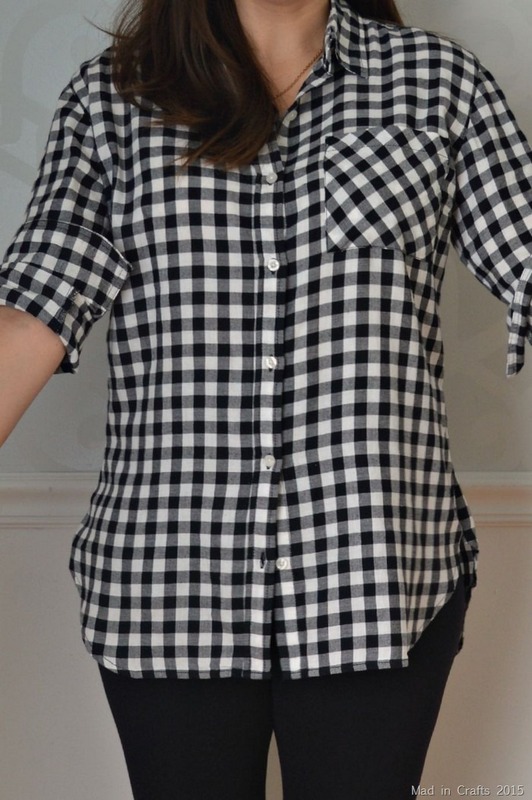 A flattering flannel shirt for less than $15. 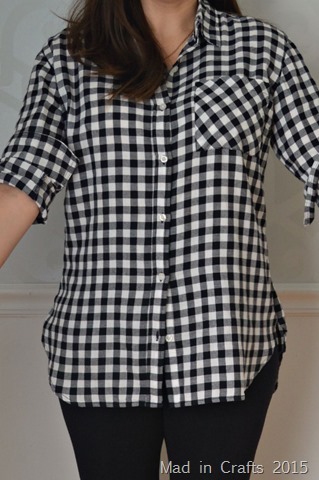 I will probably pair the shirt with leggings or skinny jeans to balance out the proportions a bit. 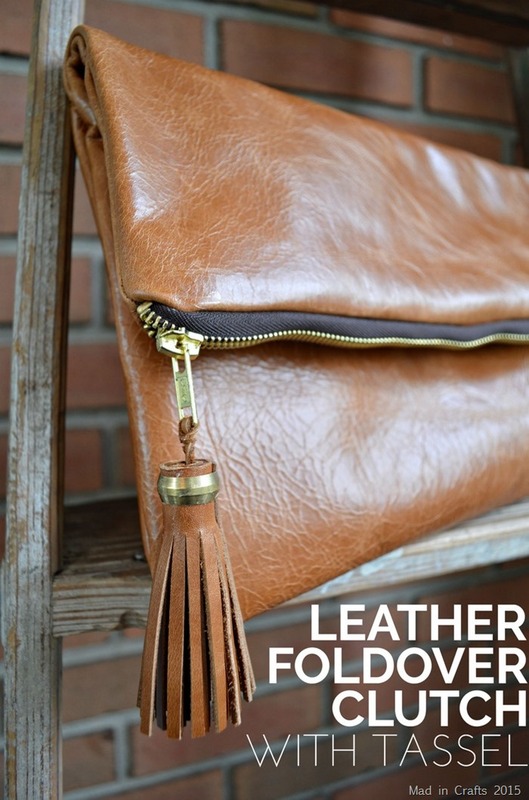 I think my foldover leather clutch looks awfully good with the shirt, if I do say so myself. PS I had to take a million pictures of myself for this post, and I hated every second of it. This is my “I am SO not a fashion blogger” face. Also, we are still dealing with our subfloors, as you can see. We keep praying for dry weather so we can finally get our floors installed!